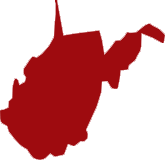 West Virginia Court Reporters | National Court Reporters, Inc. Looking for a court reporter in West Virginia? National Court Reporters Inc can provide you with a qualified court reporter that you can truly rely on. We hand-select our certified professionals to ensure our client’s cases are handled properly and accurately every time. We pride ourselves in providing attorneys with the very best in litigation support solutions. Our West Virginia court reporters are also equipped with the best technologies the industry has to offer, allowing them to work quickly, without error. Using LiveNote™ and e-Transcripts™, we’re able to deliver transcripts to you quickly and in whatever format you need, helping you optimize pretrial prep and focus on the important details of the case. If you need court reporting in West Virginia, provided by an expert you can trust, turn to National Court Reporters Inc. Contact us today, 24/7, for litigation support solutions of the highest caliber. Our services are available to legal professionals throughout the state and nationwide.